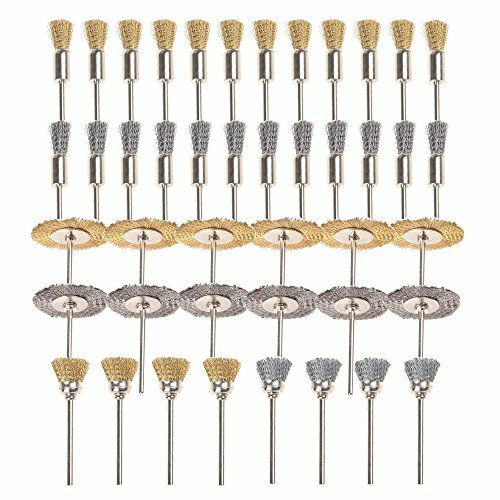 12xsliver pencil wire brush; 6xbrass wheel steel brush; 6xsliver wheel steel brush; 4xbrass cup steel brush; 4xsliver cup steel brush. Packing include: 12xgold brass pencil wire brush; 12xsliver pencil wire brush; 6xbrass wheel steel brush; 6xsliver wheel steel brush; 4xbrass cup steel brush; 4xsliver cup steel brush. If you have any questions about this product by Gunpla, contact us by completing and submitting the form below. If you are looking for a specif part number, please include it with your message.